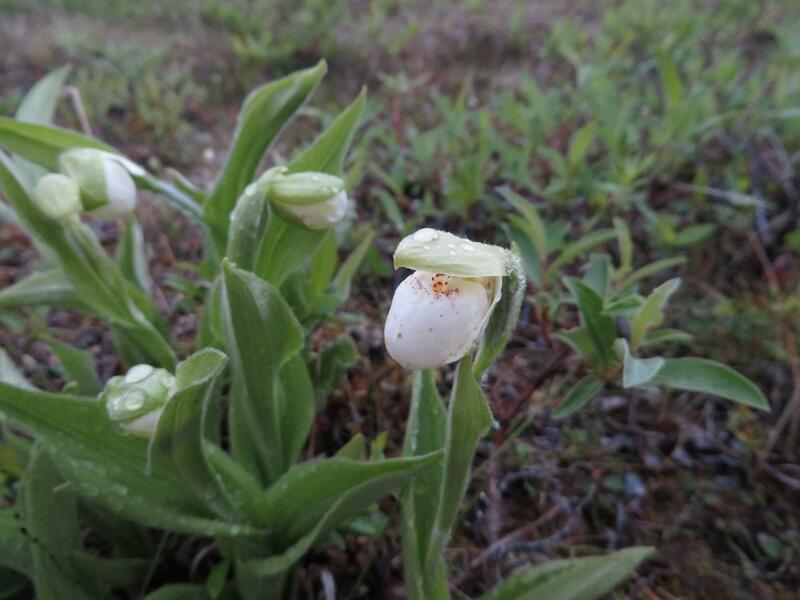 Cypripedium passerinum, commonly known as the Sparrow's Egg Lady's Slipper, is found throughout the interior of Alaska, across Canada to Hudson Bay, and south to northern Montana. 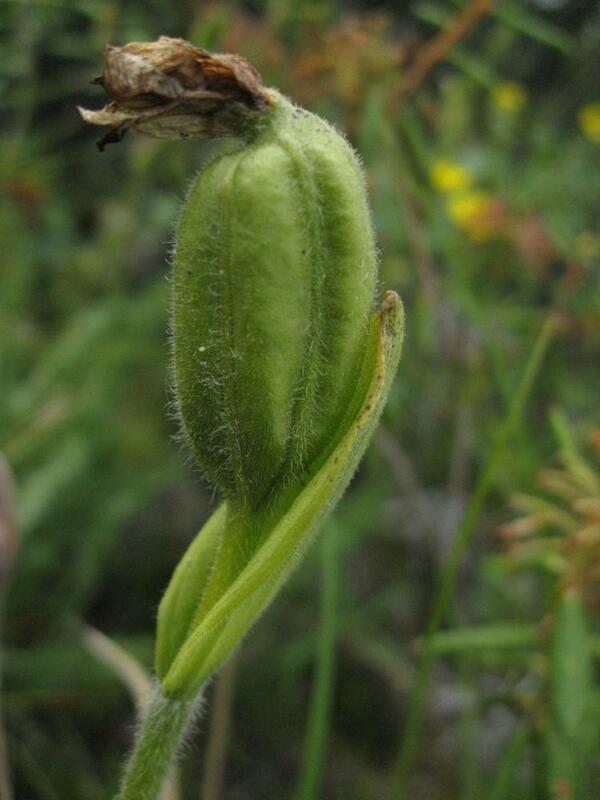 C. passerinum is pubescent, and produces one or two small flowers on a leafy stem. 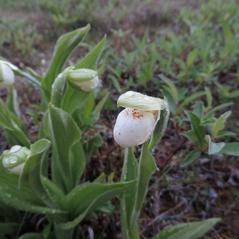 The small white flower has straight petals and a green dorsal sepal covering the egg-shaped labellum. 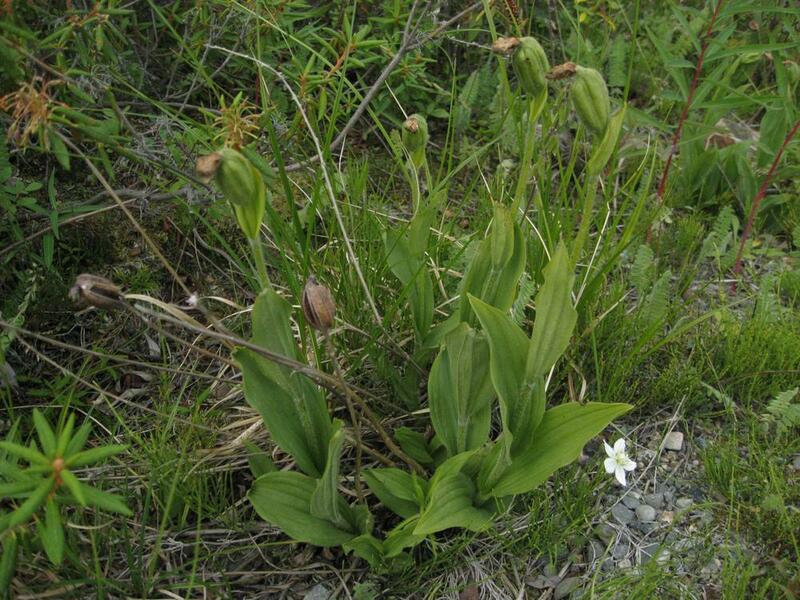 Purple spots appear on the labellum's base, orifice, and interior wall. 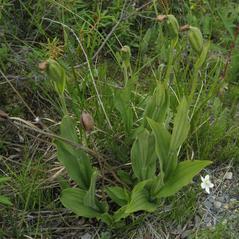 The green flower bract is prominent and upright. 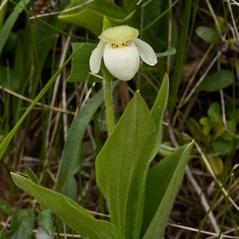 This orchid grows in moist coniferous forests, mixed woodlands, sphagnum bogs, thickets, stream banks, and lake margins. 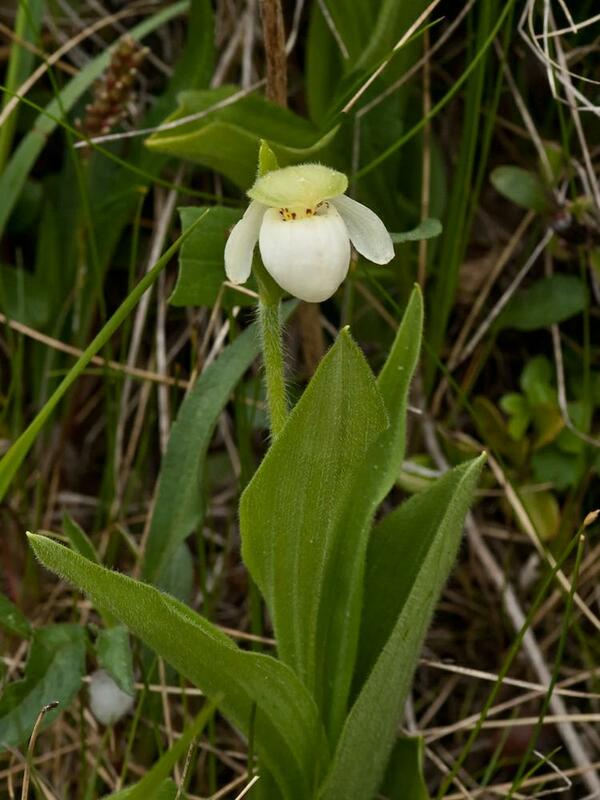 Cypripedium passerinum is considered globally secure. 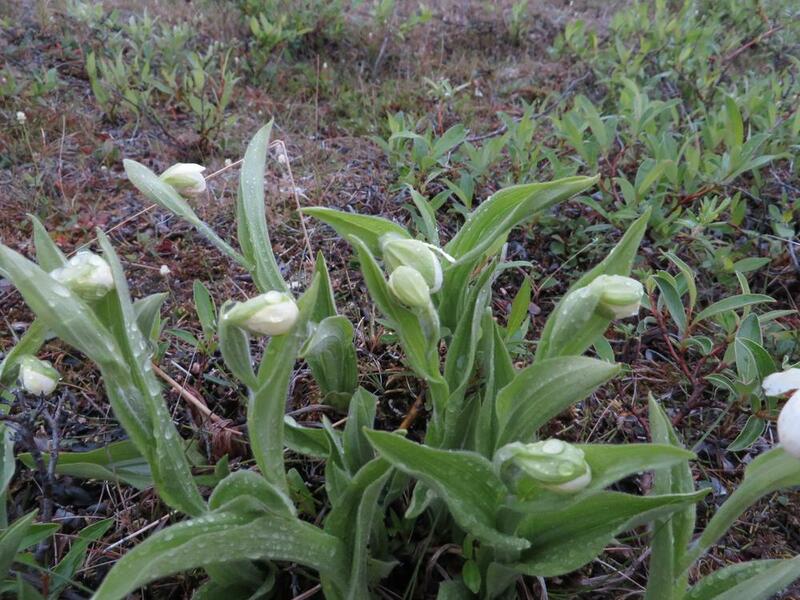 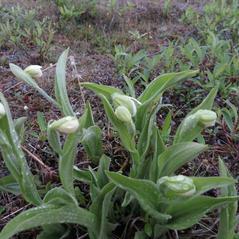 Unlike other Lady's Slippers, This species is self-fertilizing and does not require a pollinator for reproduction. 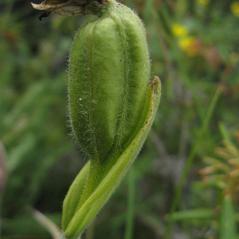 The stigma and anthers develop in such a way that they are in contact with each other.